Vegan Baked Brie in Puff Pastry (Vegan Brie en Croute) - with step by step photos! Vegan Baked Brie in Puff Pastry (Vegan Brie en Croute) – with step by step photos! 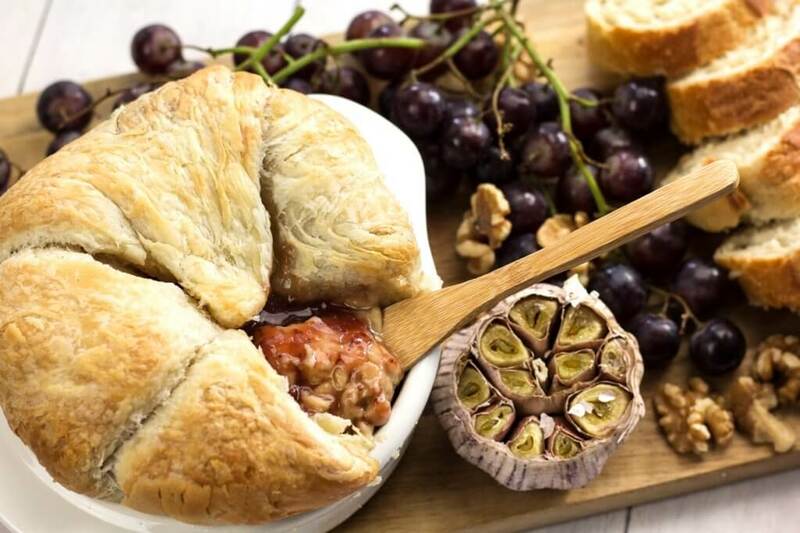 Simply irresistible Vegan Baked Brie in Puff Pastry (Vegan Baked Brie en Croute) that is the star of every family gathering. Homemade cashew cheese covered in jam and wrapped in flaky pastry. 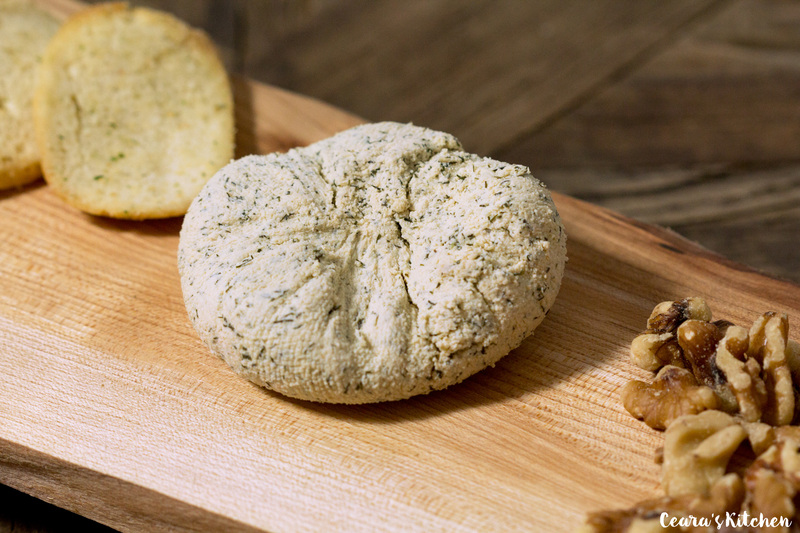 Straight out of the oven, the cashew brie cheese is warm, gooey, and stretchy. I have great memories enjoying Baked Brie growing up. It wasn’t a party without Baked Brie en Croute. As soon as the brie and warm baguette came out of the oven, everybody would gather around, enjoying this elegant, communal comfort food! Are you vegan or vegetarian? 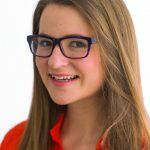 I’ve now been vegetarian (and vegan for most of that time) for almost six years. I’ve made many-a-cheese recipes – hello mac and cheese – and finally made this old favorite of mine. I made it for my in-laws over the holidays and let’s just say, there wasn’t any Vegan Brie en Croute left at the end of our meal. 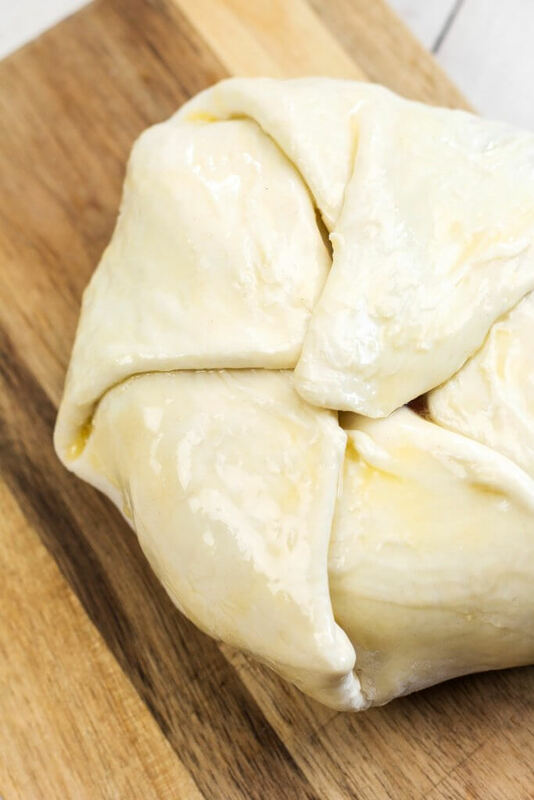 This Vegan Baked Brie in Puff Pastry is easy enough to make, however, it does take a few steps – see my step by step photos below. 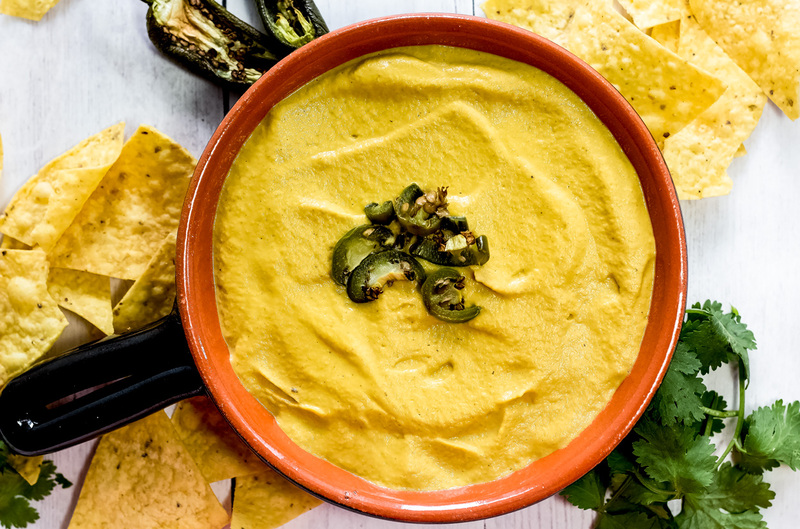 If you are short on time, I would recommend trying this recipe with store-bought vegan brie (This brand is my favorite). Let’s get started! Like all good vegan recipes, this Vegan Baked Brie starts with soaked, raw cashews. Blend the cashews with the other ingredients until creamy. Add the liquid to pan and stir, stir, stir until you have the perfect, stretchy cheese. It’s normal that there will be a few lumps in the cheese before it gets to the ultimate, gooey texture. Pour the cheese into a lightly oiled dish (this will help remove the cheese easier in the next step). 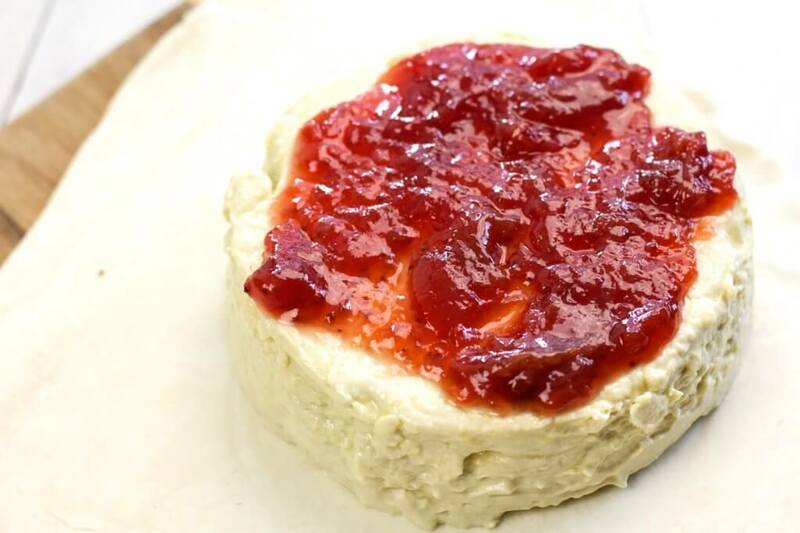 Leave the cheese to set in the fridge overnight or in the freezer for half an hour. Roll out a sheet of puff pastry. Loosen up the brie from the dish by going around the sides with a toothpick. Turn the cheese upside down in the middle of the pastry sheet. Add jam (or caramelized onions if you’re feeling extra fancy) on top. 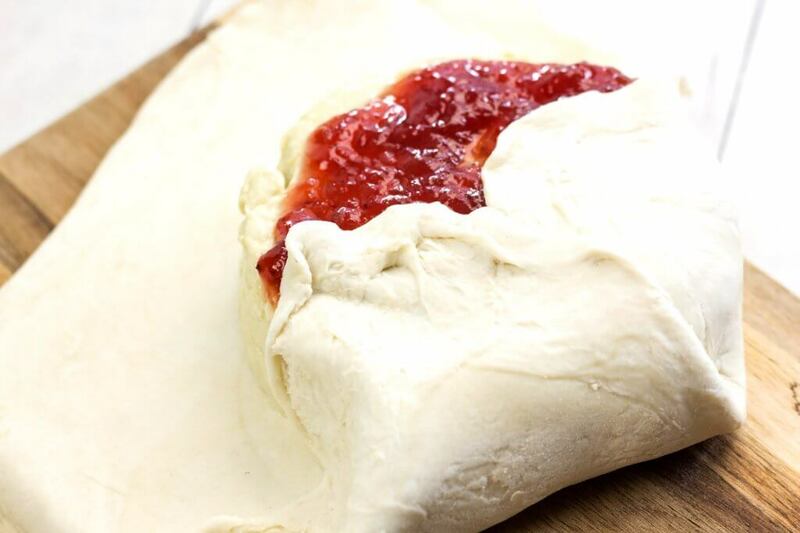 Pull the puff pastry in to meet in the middle like you are wrapping the perfect little present. Remember, it doesn’t have to be perfect. 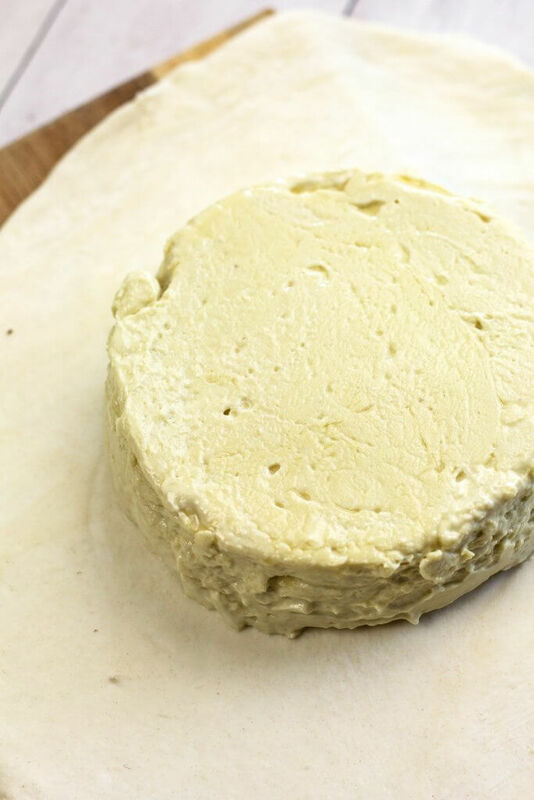 The more rustic and homemade your Vegan Brie en Croute looks, the better. 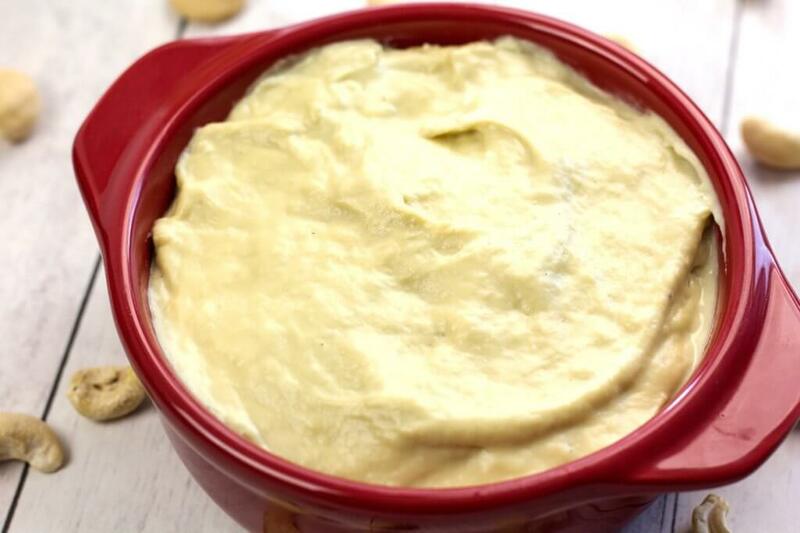 Brush with aquafaba (or vegan butter if you’re serving this for the holidays and want to make sure it’s extra rich). Bake in a brie baker or pie dish until golden brown. 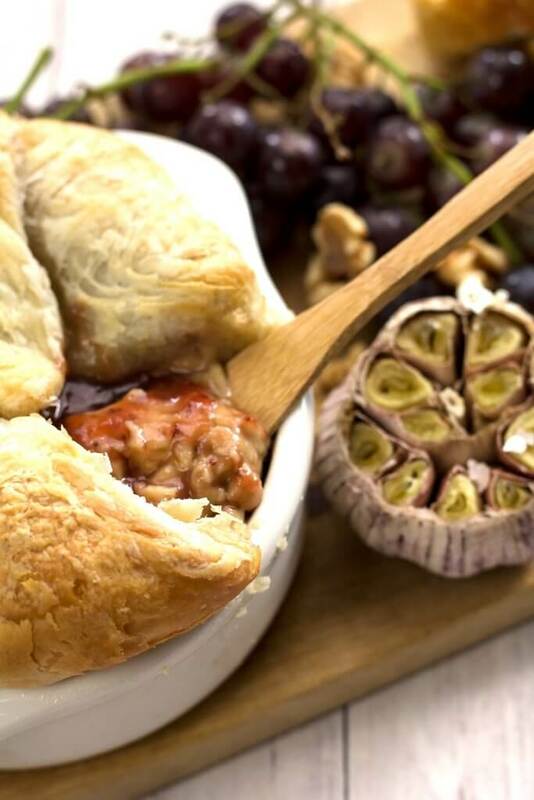 This Vegan Baked Brie in Puff Pastry is simply DIVINE. 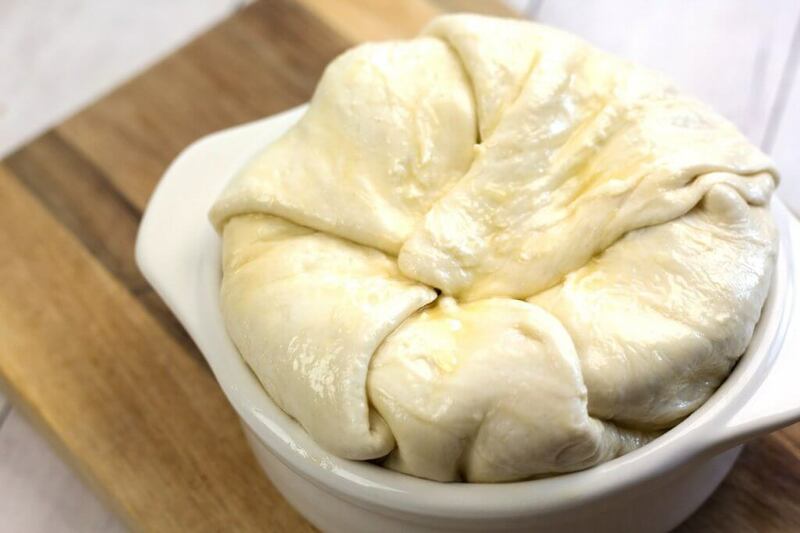 Creamy vegan brie cheese, baked until warm and gooey in a crispy puff pastry dough. Sign. Me. Up. 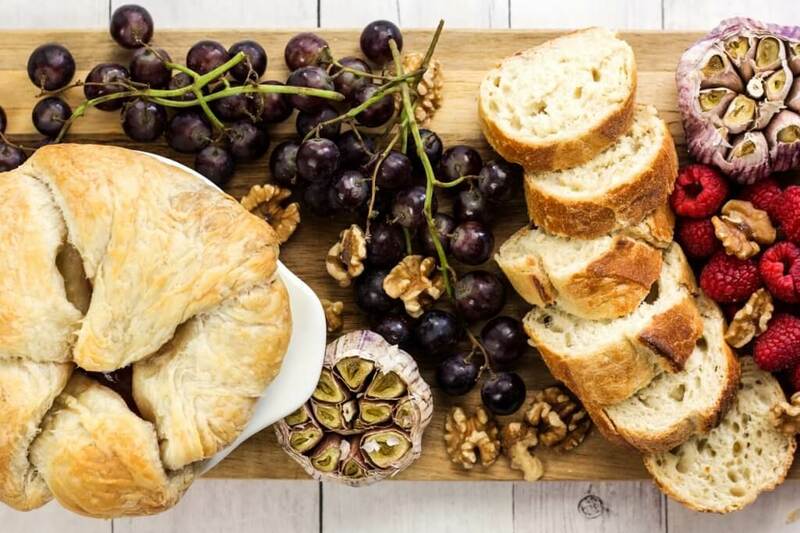 Serve your Vegan Brie en Croute when guests are over to “wow” them with the perfect plant-based charcuterie spread. I love to serve with grapes, roasted garlic, fresh baguette (don’t forget to warm your baguette first! ), nuts, and fruit. I LOVE hearing from you! 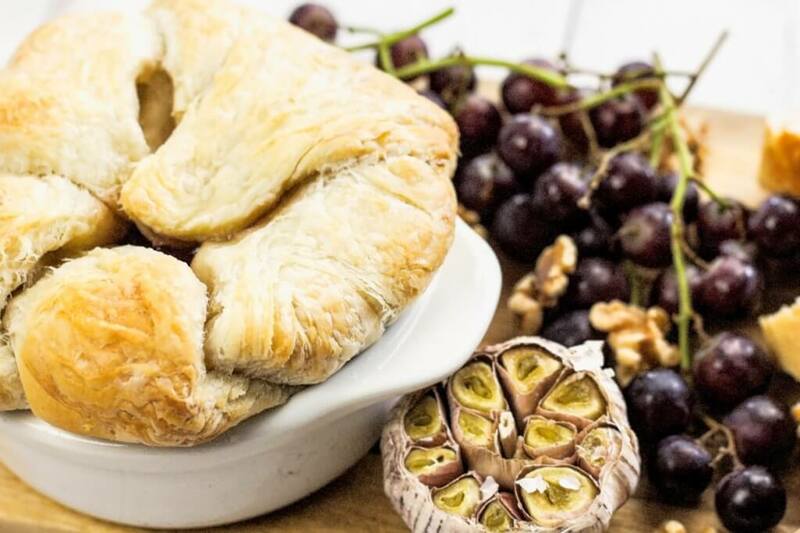 Leave your feedback in the comments below or tag me #CearasKitchen in your gorgeous shots on Instagram, if you make this Vegan Brie en Croute at home. 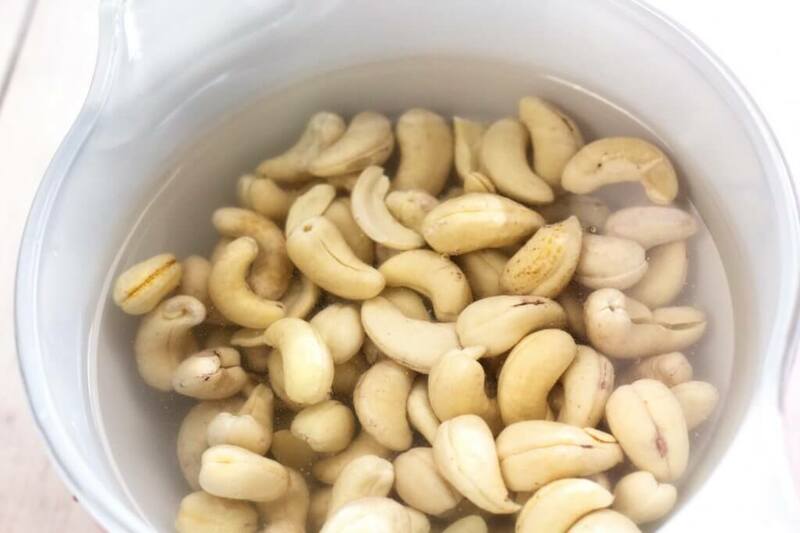 Soak the cashews overnight in the fridge in cold water or for 15 minutes in a pot of freshly boiled, hot water. 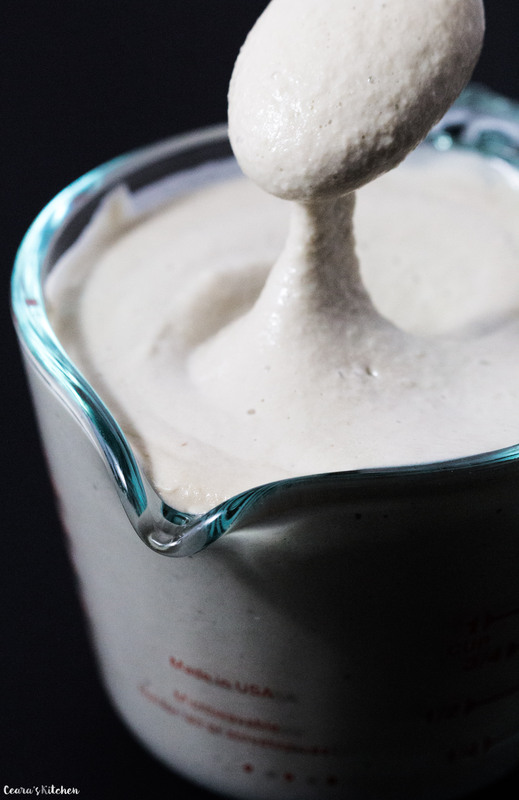 Rinse the cashews and place in a high-speed blender. 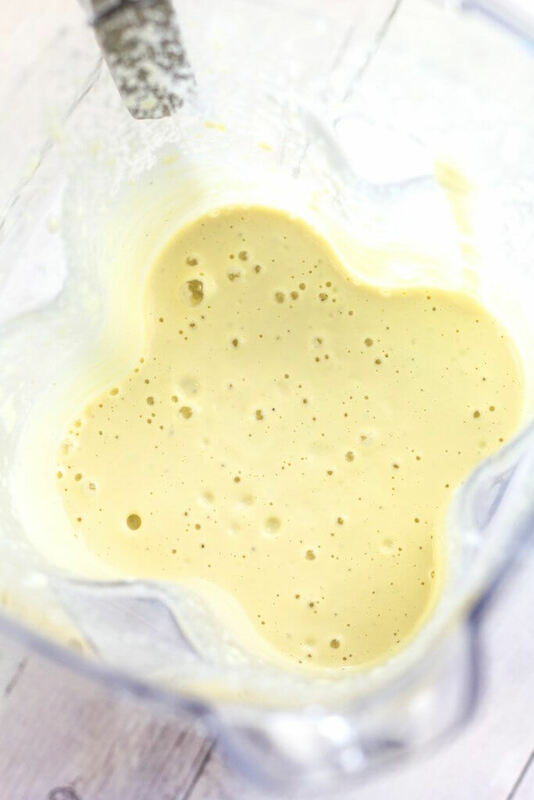 Add the aquafaba, apple cider vinegar, garlic clove, tapioca starch, nutritional yeast, and sea salt to the blender. Blend for 2 to 3 minutes until creamy smooth. Taste test and add additional nutritional yeast or sea salt to taste. Warm a medium-sized pan over medium-low heat, pour the cheese sauce into the pan and stir until the cheese thickens to a thick and stretchy consistency. The cheese should not drip from the spatula when you lift the spatula up. Lightly oil a round dish. Add the cheese, smooth the top with the back of a spoon, and tap on the counter a couple times to get the air bubbles out. Leave to cool, cover with plastic wrap, and chill in the freezer for half an hour or in the fridge overnight. Preheat oven to 350°F (177°C). 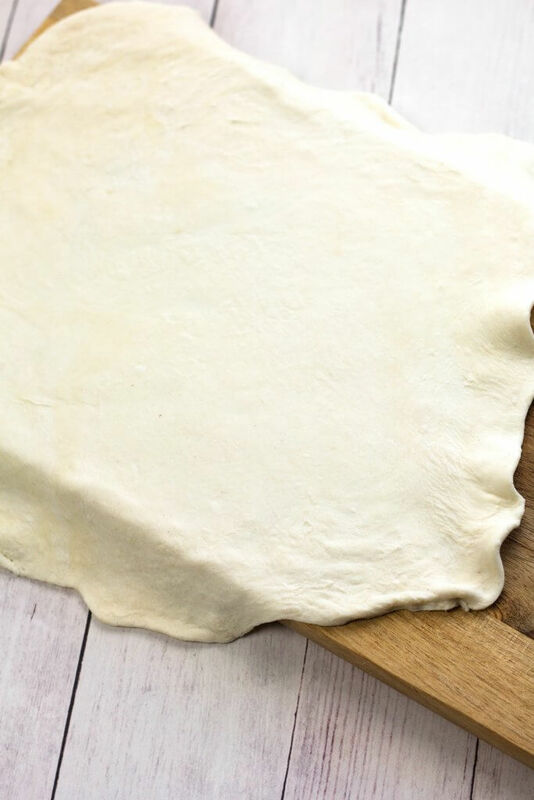 Place puff pastry on a lightly floured work surface and roll to an even 1/4-inch thickness. Turn the cheese upside down in the middle of the pastry sheet. Spread jam (or caramelized onions) on top. Pull the puff pastry in to meet in the middle like you are wrapping a present. Pinch the dough together in center to seal all the pleats together. 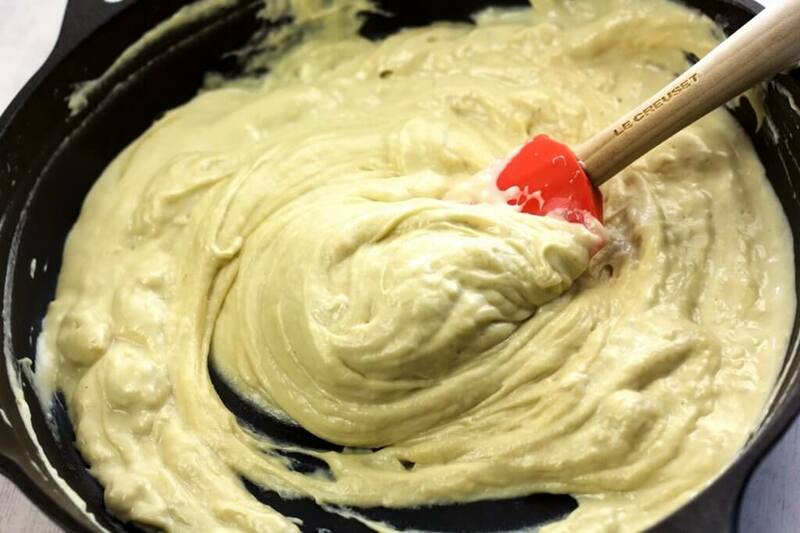 Brush with aquafaba (or vegan butter). Bake in a brie baker or pie dish until golden brown for 20 to 25 minutes. Serve warm with baguette, fresh fruit, and nuts. 1) Double check that the puff pastry is vegan. 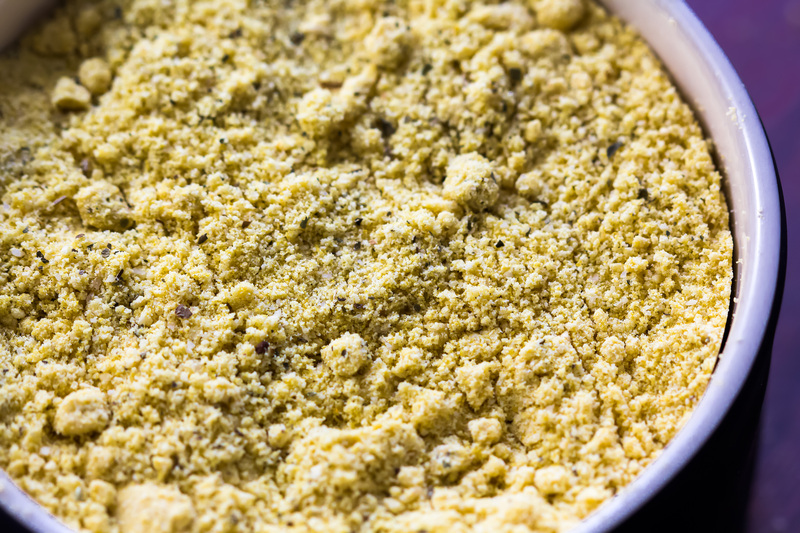 Vegan Parmesan – I sprinkle this on everything!